Most notably in the Report are the audit statistics in which CMS stated, “[h]ealth care providers have appealed 8,449 claims to date, which constitutes 5 percent of all claims collected in FY 2010. Of those, 2,902 claims–2.4 percent of all collected claims–were ruled in the providers’ favor, for a total overturned amount of $2.6 million.” Based on these figures, over 34 percent of the appealed claims already have been ruled in the providers’ favor. It should also be noted that the appeals process can take up to two (2) years. 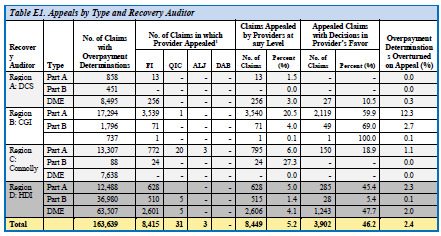 The reported data represents appeals results to date of the claims originating and appealed in FY 2010. 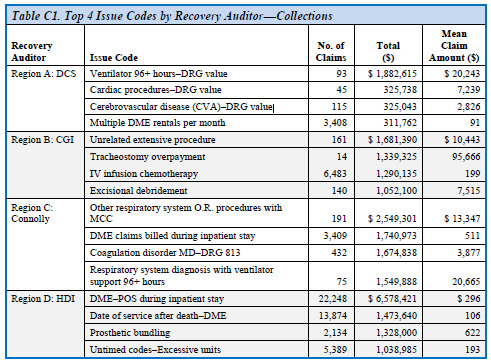 Finally, the Report also contains a number of other helpful appendices including tables breaking down improper payments by state; region/Recovery Auditor; and Medicare Part A, B, and DME claims. For more information on RACs and audit appeals, please contact Abby Pendleton, Esq. or Jessica L. Gustafson, Esq. at (248) 996-8510 or (212) 734-0128 or visit the HLP website.